Midwestern Gothic staffer Rachel Hurwitz talked with author Christine Sneed about art and curiosity, ambition, bad love poetry, and more. Christine Sneed: I’ve lived here for much of my life; both of my parents are from the Midwest too (Illinois and Wisconsin). I went to college in Washington, D.C. and studied in France for a year too, but other than those four undergraduate years, I’ve resided in Illinois, Wisconsin, and Indiana. RH: How do you think that living in and around Chicago has shaped the way you see the world and consequently, your voice as an author? CS: I suspect that most writers are very much affected by the places where they currently live or once lived – your values, personal and professional, are often shaped by the ethos of your family, closest friends, and by the socioeconomic realities of your upbringing. But how exactly your home turf and your family and friends, past or present, influence your writing is hard to gauge. Tangentially, some of my fiction is set in the Chicago area, some isn’t. 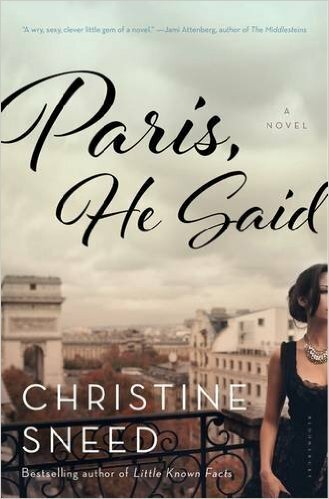 Sometimes setting is very important to the characters and the events in the story, as in my first novel, Little Known Facts, and my second, Paris, He Said, but I’ve written short stories where I’m not terribly specific about where they’re taking place. RH: Your most recent publication, Paris, He Said is a novel, but you have also published and won awards for your poetry and short fiction. What is your creative process for working with so many different styles of writing– do you often work on multiple styles in tandem or focus on one at a time? CS: For the most part, I write prose these days, almost no poetry. Sometimes while writing a novel I’ll also work on an essay; sometimes I’ll write a short story while also drafting a novel. Having more than one project underway helps me not get too bogged down with a novel manuscript. I used to write poetry too, especially in the years immediately following my MFA degree (which I finished in 1998), but my poetry-writing tapered off pretty quickly in the early 2000s when my energies went more toward fiction-writing. RH: Paris, He Said, is centered on a painter and a gallery owner, Jayne and Laurent; your first novel, Little Known Facts revolves around the effect of a talented actor, Renn, on the lives of his family members; your collection of short stories Portraits of a Few of the People I’ve Made Cry also deals with the tribulations of being and working with artists, movie stars and novelists. What draws you to write about such artistic characters and the huge effect they often have on those around them? CS: One reason why I write about writers and artists is because I have a number of friends who write and make art. I worked at the School of the Art Institute of Chicago for the five years directly following my graduation from Indiana University’s MFA program, and during that time, I met a number of gifted visual artists, some of whom are friends (and one of them, Susan Kraut, is a character in Paris, He Said – cast as herself and the mentor of the main character, Jayne Marks). Another reason: even though I resist the bromide that you should write what you know, I do think it’s easier for me to create and work with characters who are artists and writers. I’m also curious about what keeps us making our work, even if we don’t always (or ever) receive the kind of notoriety and/or financial stability we might be hoping for. Working artists also usually have interesting minds, and I like trying to portray this on the page, while also attempting to entertain and engage readers. RH: In a New York Times review of Paris, He Said, Robin Black states the story “elevates from merely an entertaining novel about a near-universal fantasy to a serious exploration of how one manages the hunger for recognition and success…” Do you think this description is fitting of your work? Why or why not? CS: I very much like Robin Black’s description of Paris, He Said. When I first read the review, I was so relieved, and I thought, “She really gets it.” It’s a novel about artistic ambition, not a romance (even if there is a love story involved), despite how it might look or sound in descriptions that appear elsewhere. As I wrote Paris, He Said, it became clear to me that I was most interested in what motivates a person to make art and how she/he sticks with it (or doesn’t) over time. I also wanted to show that talent is important, but it’s not everything – you need good luck sometimes (which Jayne has, in the form of Laurent Moller’s patronage); you also need to be stubborn in the face of rejection, dismissal, unkindness, and other adverse responses from the rest of the world because they are plentiful. RH: As a teacher of University of Illinois at Urbana-Champagne, you obviously interact with young writers frequently. Is there anything you wish you would have known at their age about becoming an author professionally? CS: I knew from the beginning that this was going to be a career path that rewarded patience and persistence. I guess one thing that I maybe didn’t understand right away is that you really should try to waste as little time as possible comparing yourself to others, especially the people who seem to be doing better than you. It’s fruitless to do this, despite its inevitability – unless you’re going to use someone else’s success to motivate you to be better, to be more productive, to be less afraid and jealous. I also remind my students sometimes that the rising tide lifts all boats – a friend’s success can help you achieve success too. This friend might introduce you to an agent or editor, for example, or publish one of your stories or poems in a literary journal that she/he is editing. RH: In the creative writing classes that you teach, do you find yourself using a particular author, work of some kind, or writing exercise consistently? If so, what is it and what do you find compelling and/or resonant about it as a tool or example for young writers? CS: I have found myself frequently quoting George Saunders – I saw him in Chicago about three years ago when Tenth of December was just out, and he said that he strives for “a line by line energy in [his] work.” I think of this so often and tell my students to remind themselves of this too. RH: How did you start writing? Was there a certain event or form of inspiration that really set you on your path as an author? CS: I started writing with some purpose when I was still a girl, maybe about twelve years old – bad love poetry for boys who barely knew that I existed. It was therapy, pure and simple, but I kept writing, and eventually it became my life, which I realized during my last year in college. No – it was junior year, the year I studied in Strasbourg, France. That’s when I gave myself permission to try to become a writer. No one else was going to give it to me, I realized. CS: I’m working on a couple of different things right now – both are novels. We’ll see how it goes. My fourth book will be published in September 2016, a story collection titled The Virginity of Famous Men. Christine Sneed‘s first book, the story collection Portraits of a Few of the People I’ve Made Cry, won AWP’s 2009 Grace Paley Prize, Ploughshares‘ Zacharis Prize, and was a finalist for the Los Angeles Times Book Prize, first-fiction category. She has also published the novels Little Known Facts and Paris, He Said. Her second story collection, The Virginity of Famous Men, will be published in September 2016. 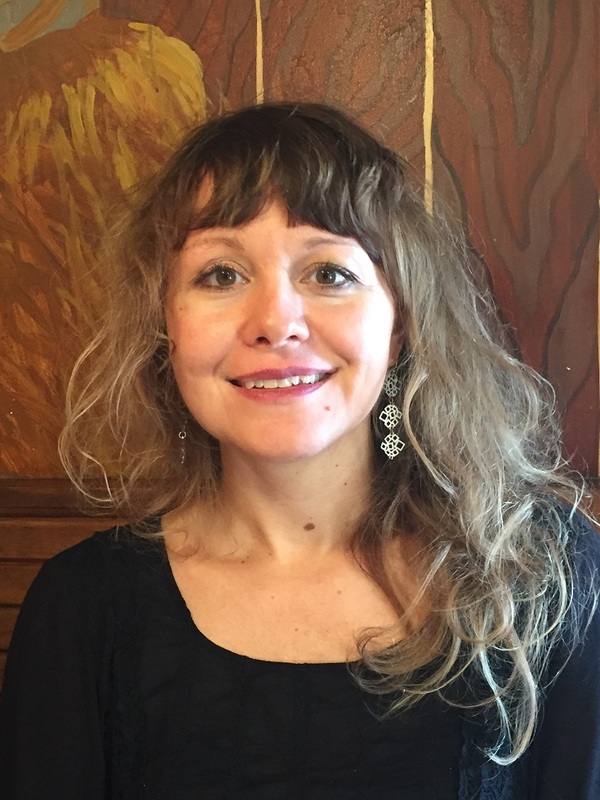 She lives in Evanston, Illinois, and teaches for the graduate writing programs at Northwestern University and the University of Illinois-Urbana-Champaign.